Rehabilitation is about building, and strengthening, your horse’s topline by working the correct muscles. My approach to rehabilitation is to incorporate a variety methods into my program, inside and outside the arena. I’m the first person to advocate for bodywork and equine therapy to enhance the wellbeing of your horse. Whether it’s physiotherapy, massage or chiropractic care, equine bodywork is essential to ensuring your horse’s muscles are working correctly and setting it up for success. That said, a single bodywork session or equine therapy session isn’t enough to make a lasting difference to your horse. You’ve got to do your homework too. Rehabilitation is about building, and strengthening, your horse’s topline by working the correct muscles. The topline refers to the muscles that support the horse’s spine. They run from the horse’s neck to its hindquarters. A strong topline is important for a variety of reasons. It enhances your horse’s wellbeing, facilitates injury recovery, prevents further risk of injury and trains your horse for optimum performance. 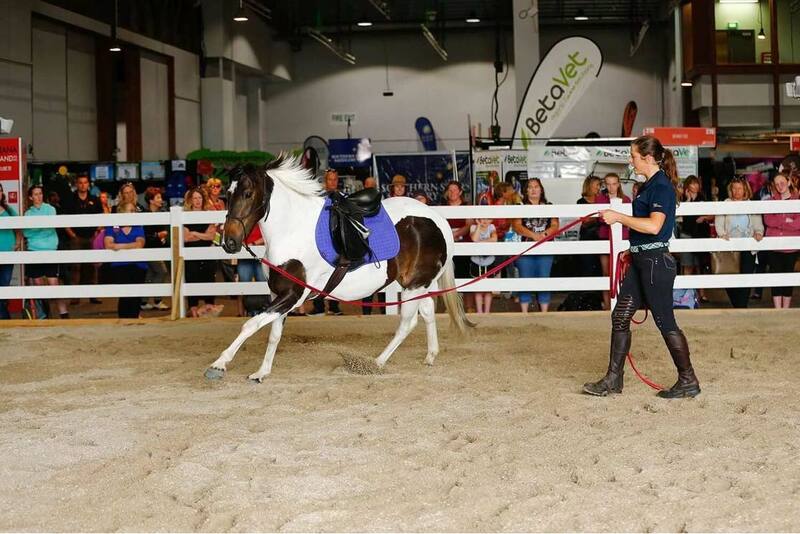 For this reason, a rehabilitation program is important for any horse returning to work, recovering from an injury or who is struggling to achieve a strong topline. Injury: Whether or not your horse is injured and, if so, how long the horse has been injured. Ask yourself, has your horse had this injury for days, weeks, months or even years? The earlier we treat an injury, the faster the results. The older the injury, the longer rehabilitation will take. Structural Integrity: When a horse is at peak fitness with correct topline and musculature, it should return to its former state and back to optimum health quickly. A horse that has no topline to support its structure will take a lot longer to rehabilitate. Horses naturally carry about 60% of their weight in the forehand and about 40% in the hindquarters. When we add a saddle and a rider, we are adding a 40-120 kg load onto those shoulders. A horse with a weak topline will strain under this weight. For example, when we use our hands to ask our horse on the bit, a horse with a weak topline will break at the c2 and c3 vertebrae, pulling itself on the forehand. This results in incorrect muscle build up and causes serious damage to the cervical spine and poll. But a horse with a strong topline can balance the extra weight of rider and saddle and maintain the correct posture. Building a strong topline is about realigning the horse’s natural weight distribution to carry rider and saddle correctly. It is important to understand that the muscles through the topline need to work in harmony together. If some muscles are overused while others are neglected, we get over-development in some areas and atrophy (muscle wastage) in others. A strong topline is also essential to preserve our horse’s health and to get them to function at their peak physical and mental potential. It’s our responsibility as riders to condition and prepare our horses to carry themselves correctly. The key to a successful rehabilitation program is to work our horses from behind. A horse should sit through the hindquarter (the engine) to lift through the core, come up through the wither and to take contact down and forward. My approach to rehabilitation is to incorporate a variety methods into my program aimed at developing the correct muscles to support that topline. These include lunging, transitions and swimming. A horse with a strong topline is a balanced horse. Transitions build on the correct muscle because the horse has to maintain balance between different gaits or paces. This builds strength in the hindquarters as the horse has to spring off its feet requiring push and impulsion from behind. I believe that internal transitions within each pace are key here. Think normal trot, stronger trot, then back to a normal, collected trot, then repeat with a walk and a canter. Internal transitions build the correct muscle by enabling the horse to push more than with a normal transition, developing great balance and strength on the hindquarters. A horse balances and aligns the body through a turn differently when under saddle. A horse working the circle on the wrong bend stresses the joints and develops incorrect posture. Lunging a horse is an effective tool for sculpting the horse into correct alignment. This allows the horse to stretch and build topline without the rider’s weight. The average amount of time dedicated to lunging is twenty to forty minutes, but I like to lunge the horse for just seven minutes in each direction. Lunging in a concentrated fifteen to twenty-metre circle is hard work. I believe lunging too long adds additional strain to the body, especially on the legs and joints. I’m a big fan of trotting laps. I find trotting in water is more beneficial than swimming my horses out of their depth. As the horse pushes off the ground, he is working and using the correct muscles, all with the benefit of water resistance and with no risk of concussion or heavy ground impact. The arena is both a classroom and gym. If we overwork our horse in the arena, they can quickly fatigue – mentally and physically. Horses that lack sufficient fitness and strength are at greater risk of injury. If we fatigue our horses, the recovery process takes too long, and old muscles that are sore or not working correctly will gradually pull the horse into the wrong position. A rehabilitation program is a lot like a gym session. You don’t go to the gym and do weights for an hour. Rather, you build your entire body with a warm-up, weights, cardio and then a cool-down. The same applies to your horse. A twenty-five minute high intensity gym program should start with a gentle warm-up and end with a gentle cool-down. And like all good gym programs, each session should build on the other, interspersed with periods of rest. Avoiding mental fatigue is just as important as avoiding physical fatigue. If we work our horses too hard, and ask too many questions of them, they stop wanting to try for us. We need to get our horses out of the classroom and on an adventure, whether that’s the farm, the beach or the hills. This is important because it gives the horse some mental space, and a time to relax and think, while continuing to build strength. I am so lucky to have access to some gentle rolling hills and the beach. I do a lot of controlled fitness work in the hills, and I like to walk my horses through the waves and the sand. These are fantastic ways to build a variety of different muscle groups. Slow impact trotting on the local roads provides concussion to support ligaments and bone strength. Remember, when looking to get somebody to treat, fix or maintain your horse’s body, make sure you ask questions on how you can support their work using some rehabilitation or bodywork techniques. Perhaps you can assist them with some equine massage, stretching or some light lunging? If, after six weeks you are seeing no improvement, it’s time to engage an equine vet who can help to diagnose the underlying issue.